Former title contender Nate Diaz has dropped off the UFC 230 fight card after opponent Dustin Poirier suffered an injury that knocked him out of their scheduled showdown on Nov. 3. 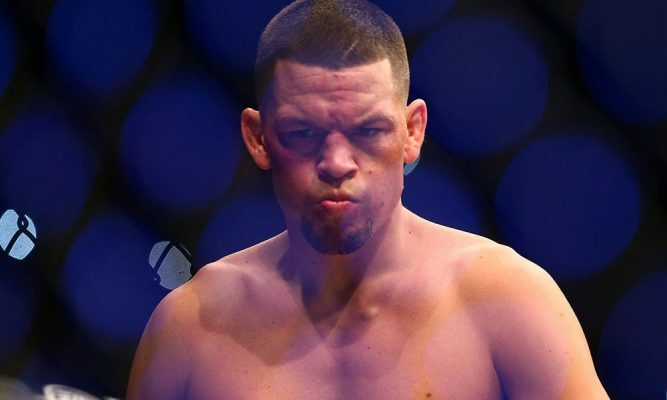 Sources close to the situation confirmed the news on Wednesday after UFC president Dana White originally told the L.A. Times that Diaz would no longer compete on the card. The entire situation unraveled this week after Poirier suffered a hip injury that knocked him out of the UFC 230 fight card, which left Diaz with no opponent. At that point, Diaz obviously decided to forgo facing a replacement opponent on short notice and so the co-main event on Nov. 3 was scrapped. The new main event for the card was just announced on Tuesday with heavyweight champion Daniel Cormier taking on Derrick Lewis. As of now, UFC officials haven’t announced any plans for the new co-main event but it’s likely the rematch between Chris Weidman and Luke Rockhold will occupy that slot once all the dust settles. UFC 230 goes down Nov. 3 from Madison Square Garden in New York.